They say that “Everything’s BIGGER in Texas.” And I have to admit, I must agree. 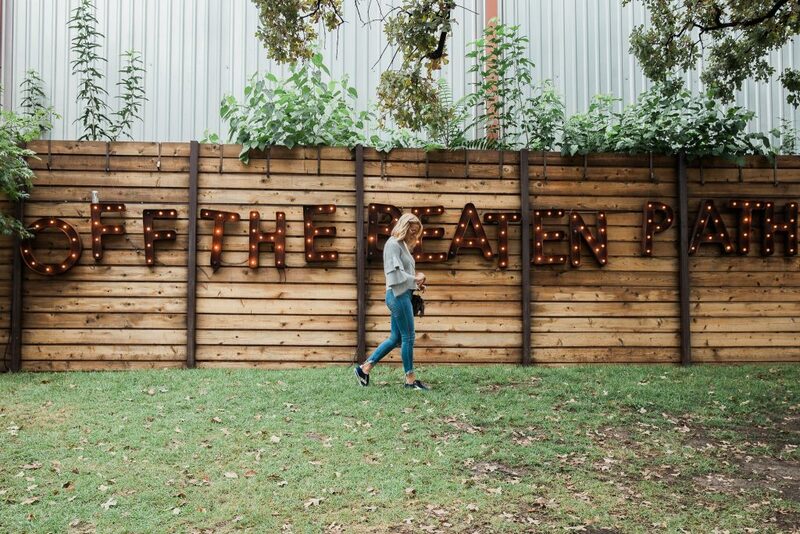 After living in Dallas for 12 years, yes, it can feel like everyone knows everyone at times, but there really is so much city that I still haven’t explored. I spend most of my time in my comfortable 5 mile radius bubble….eating at the same restaurants, shopping at the same boutiques, driving down the same roads, & seeing the same people. But every now & then, its fun to take an entire day and discover something new……& recently, I spent a Monday afternoon doing just that! 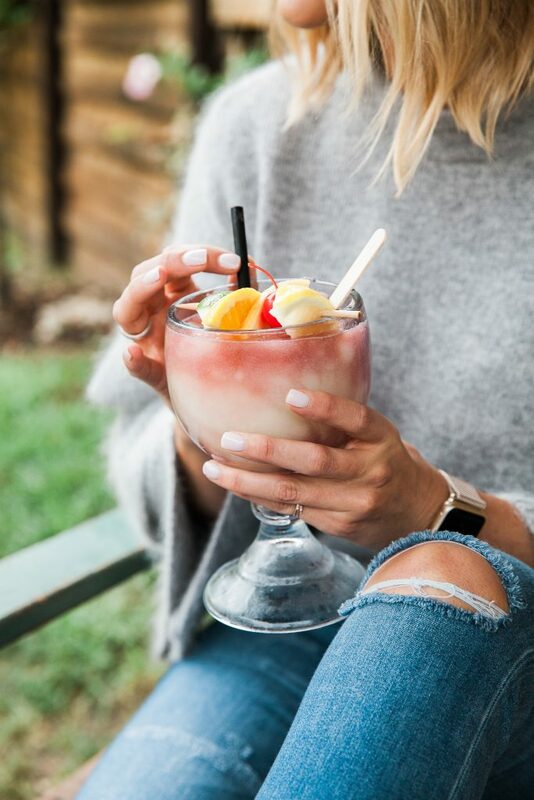 A tour of Uptown Dallas was officially on my calendar: The lunch stop was 100% non-neotigable (The Rustic’s Hot Chicken & Cheese Sandwich will probably make you cry a little it’s so good….& wash it down with their Sangria Swirl Margarita that includes a grape sangria popsicle!) 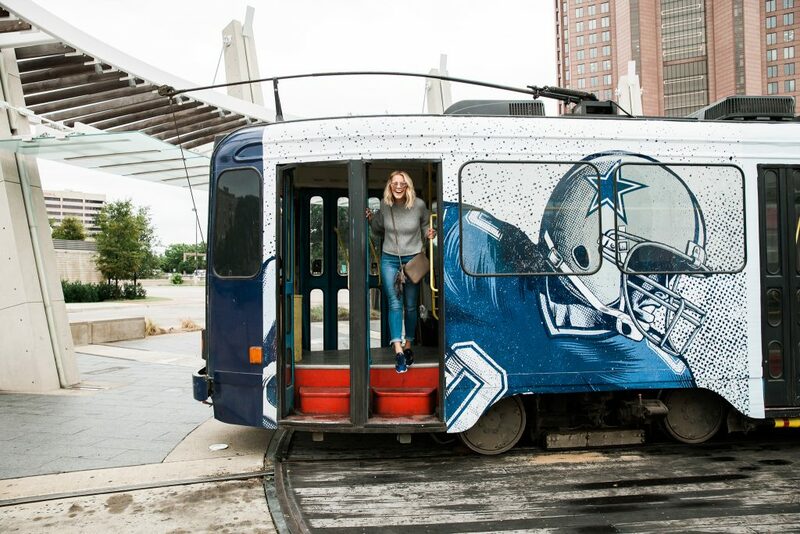 & the mode of transportation was gonna make this tour of Dallas a little out of ordinary….we chose to hop aboard the Dallas M-Line Trolley! And since walking through Uptown was also on the agenda, comfortable shoes were a BIG priority! I knew I wanted to wear a shoe that was casual (so sneakers, yay!) but that also had a little sass (so NOT athletic sneakers! )…& my new navy Brooks Heritage Vanguard sneakers were the perfect solution. Casual enough to hop aboard the trolley? Check. Chic enough for the gal who needs a break from her high heels? Check. Comfortable enough to wear the entire day? I mean, they’re Brooks Heritage….of course they’re gonna be comfortable! So did I discover anything new or interesting during my day spent touring my own city?! 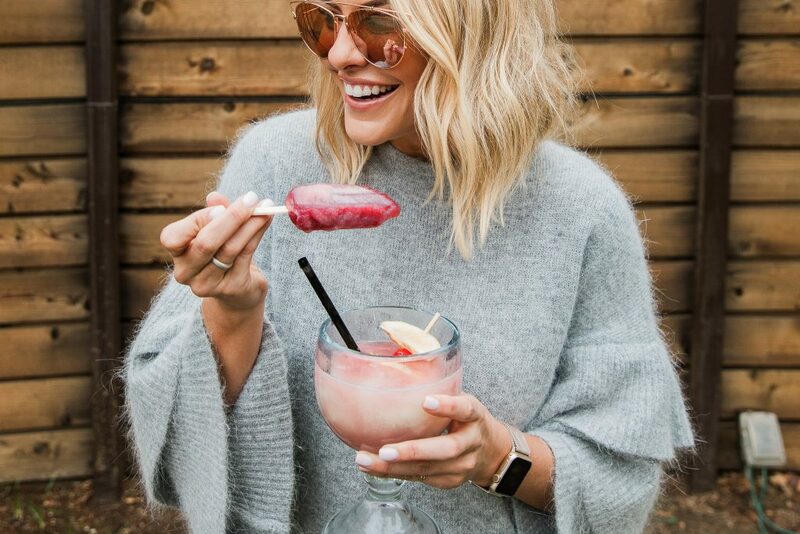 Yep…Alcohol infused popsicle margaritas & chic, lifestyle sneakers are the PERFECT COMBINATION. *Thank you to Brooks Heritage for encouraging me to re-discover why I love this city so much….& for keeping my feet comfortable & chic in the process! Where is your sweater from!!!? The outfit details are listed underneath the first picture in the post. Super cute, sporty and comfy combo! Loving your kicks! Loving those sneakers! Causal and fashionable is the best combo. Looks like a fun day. Sigh… darn it, Courtney; I’ve been trying to wean myself from buying more fashion from my fave blogs quite so frequently, but I think I might really need these shoes! Do they run true to size?